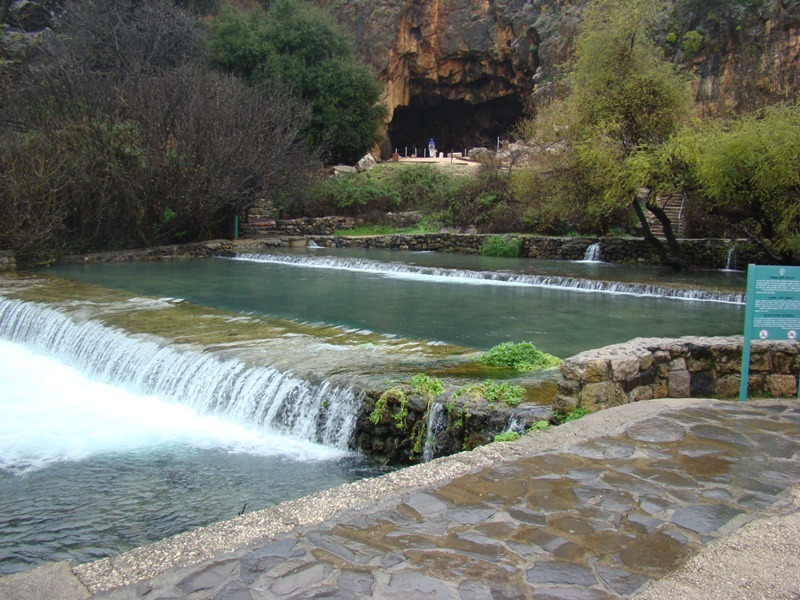 Today’s photo shows the Banias River, at Caesarea Philippi. One of the largest springs in the world, and one of the major sources of the Jordan River. Banias River at Caesarea Philippi. Photo by Leon Mauldin. 13 Now when Jesus came into the district of Caesarea Philippi, He was asking His disciples, “Who do people say that the Son of Man is?” 14 And they said, “Some say John the Baptist; and others, Elijah; but still others, Jeremiah, or one of the prophets.” 15 He said to them, “But who do you say that I am?” 16 Simon Peter answered, “You are the Christ, the Son of the living God.” 17 And Jesus said to him, “Blessed are you, Simon Barjona, because flesh and blood did not reveal this to you, but My Father who is in heaven. 18 “I also say to you that you are Peter, and upon this rock I will build My church; and the gates of Hades will not overpower it. 19 “I will give you the keys of the kingdom of heaven; and whatever you bind on earth shall have been bound in heaven, and whatever you loose on earth shall have been loosed in heaven. Whatever else we know, it is imperative and vital that we get the correct answer to the questions Jesus asked. The purpose of the gospel records is to show us who Jesus is. No other answer will do. He is the Christ, the Son of the Living God! You can see there was a very nice, full flow of water at Banias. Our group also saw the Senir River, as well as the Dan River. These converge further south to form the upper Jordan. In the distance you can see the grotto of Pan, where this pagan deity was worshipped. The ruins of many idolatrous sites can be seen here, actually side by side, one right after another as you continue to move to your right from the grotto. You are at the base of Mt. Hermon. It’s just after 3:00 AM as I’m presently writing. Today we are to visit Capernaum, one of the cities where Jesus did most of His miracles. Also Beth Shean, where the bodies of Saul and his sons were hung after their death at Mt. Gilboa (1 Sam. 31). We are to make our way down the Jordan Valley on to Jerusalem as the day progresses, the Lord willing. This entry was posted on Friday, March 11th, 2011 at 7:20 PM and is filed under Bible History and Geography, Bible Study, Travel. You can follow any responses to this entry through the RSS 2.0 feed. You can leave a response, or trackback from your own site. Would love to be making that journey with you today! How I long to be back there…reading your blogs is the next best thing! 3:00 AM? Good grief, go to bed!